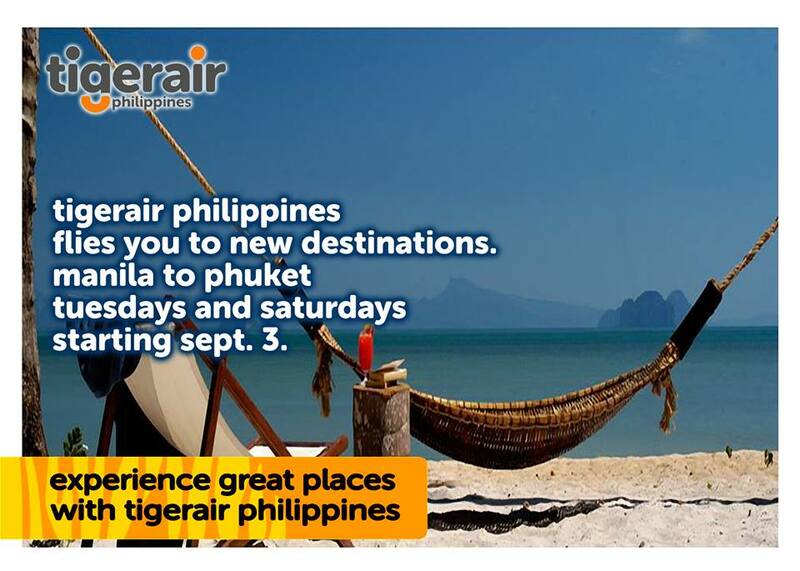 Tigerair offers its Inaugural Flights from Manila to Phuket at Php 3,499 only! 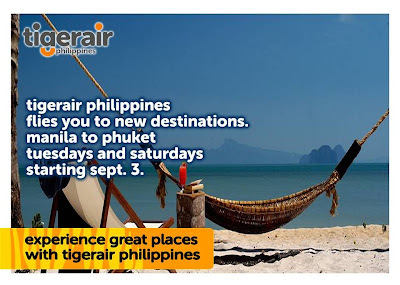 Since its official entry into the Philippine skies last July 3, Tigerair has vowed to open route networks that will bring guests faster and more conveniently to major destinations and tourist attractions across the region and the Asia-Pacific. "We are happy to announce that effective September, we are flying to Phuket, Thailand twice a week every Tuesdays and Saturdays to accommodate as many passengers who wish to visit Phuket," says Olive Ramos, CEO of Tigerair Philippines. Tigerair reaches out to a wider market to give them access to quality airline, thus bolster its position as a low-cost carrier (LCC) committed to bring to its customers its brand of friendly, high-quality service and excellent standards of safety, security, and reliability. Tigerair flies domestic via Terminal 4 to Manila – Cebu; Manila – Bacolod; Manila – Iloilo; Manila – Kalibo; Manila – Puerto Princesa; Manila – Tacloban. Its international flights include: Clark – Hongkong Clark – Bangkok; Clark – Singapore; Clark – Kalibo; Kalibo – Singapore.